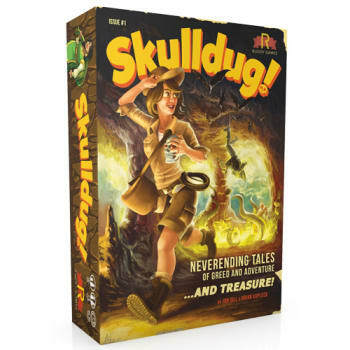 Main » Board Games » Skulldug! You pull your hat down low as you squint into the dark tunnel. This whole cave has the stench of death about it. If you had any sense, you'd be high-tailing it for the exit already. Instead, you tighten your grip on your trusty whip and step forward into the darkness. 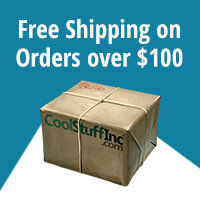 You're an adventurer, and there's treasure down there somewhere. Skulldug! is a pulp exploration game where 1-6 players race to collect three treasures and escape from an ancient and treacherous cave system. You build out a new map every time you play, discovering new passages, equipment, and monsters. It will take all of your wits to escape past your opponents' traps with your cursed loot, but make it out alive and all the glory will be yours.